It couldn't legally exit the parking lot without a trailer. 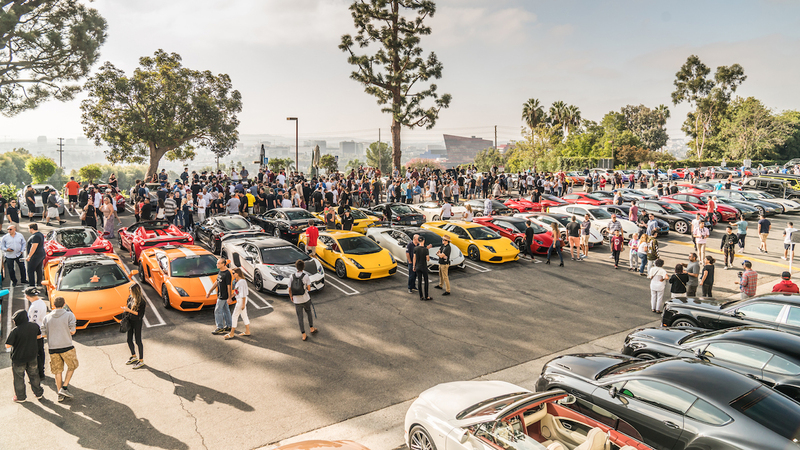 Sunset GranTurismo isn't your typical Cars & Coffee meet. 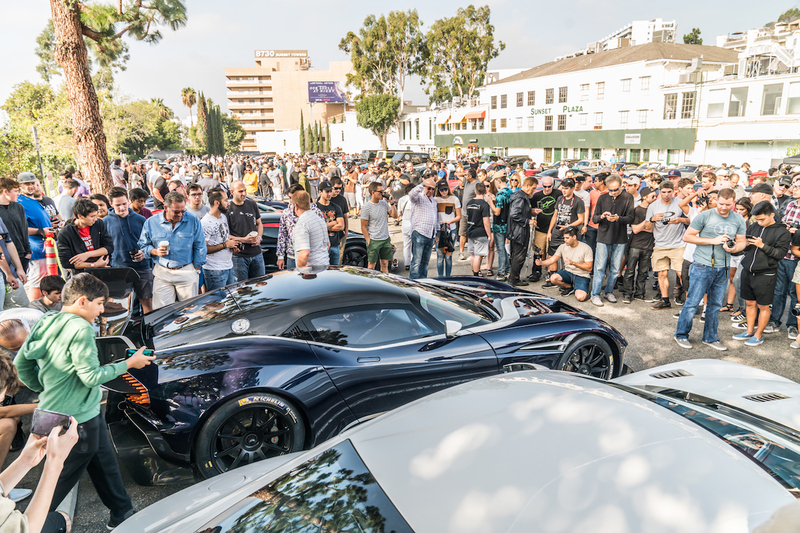 Sunset GT is put on by the O'Gara Coach company, the owner of exotic dealerships like Lamborghini Beverly Hills and hosts the event at the iconic Sunset Plaza in West Hollywood on the second Sunday of every month. 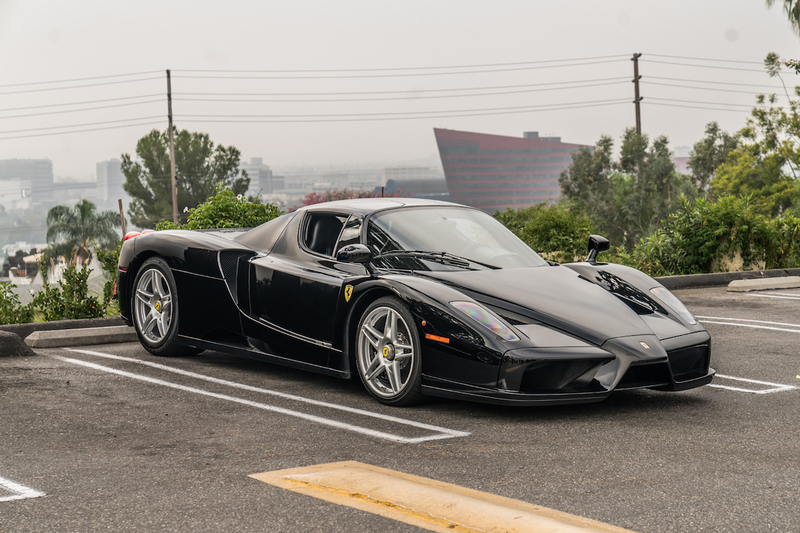 While O'Gara always brings some of its exotic inventory out to play, the turnout of customer cars is nothing short of jaw-dropping. 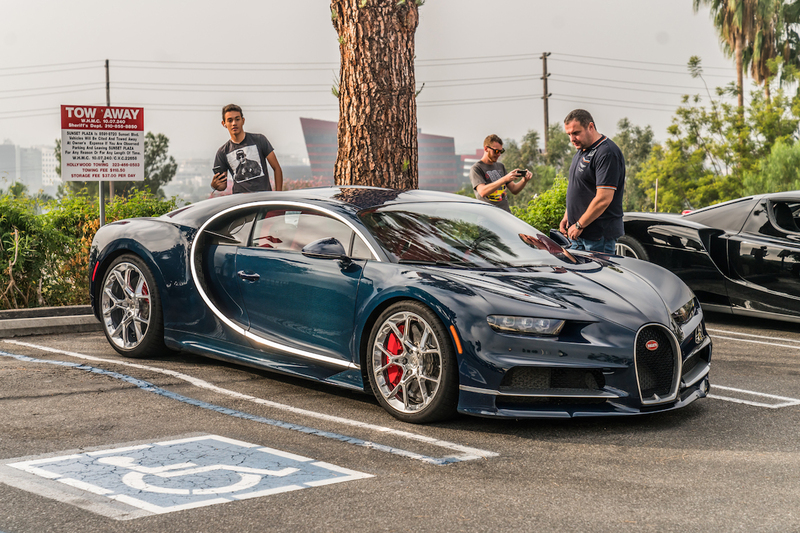 Just when you think the cars at the meet can't get any better, another rare hypercar pulls into the lot and steals the show. 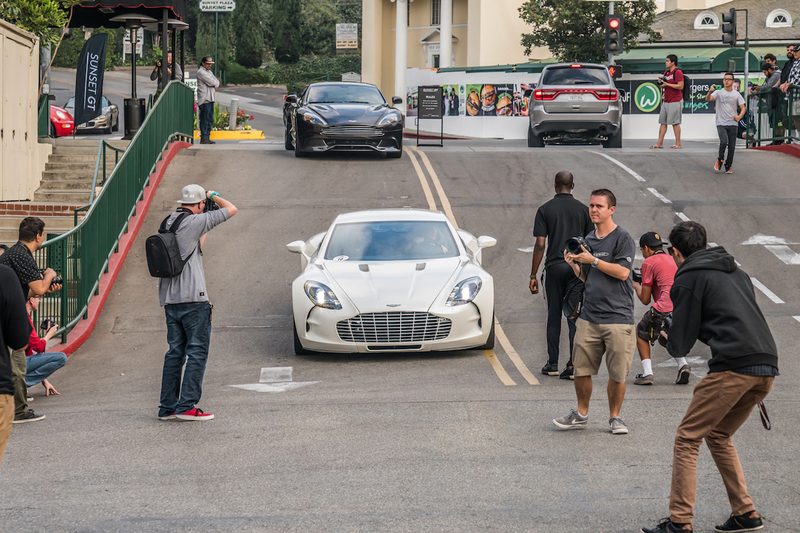 But what happens when an Aston Martin Vulcan shows up? As detailed in O'Gara Coach's blog, this month's meetup was spectacular, and one we deeply regret missing out on. 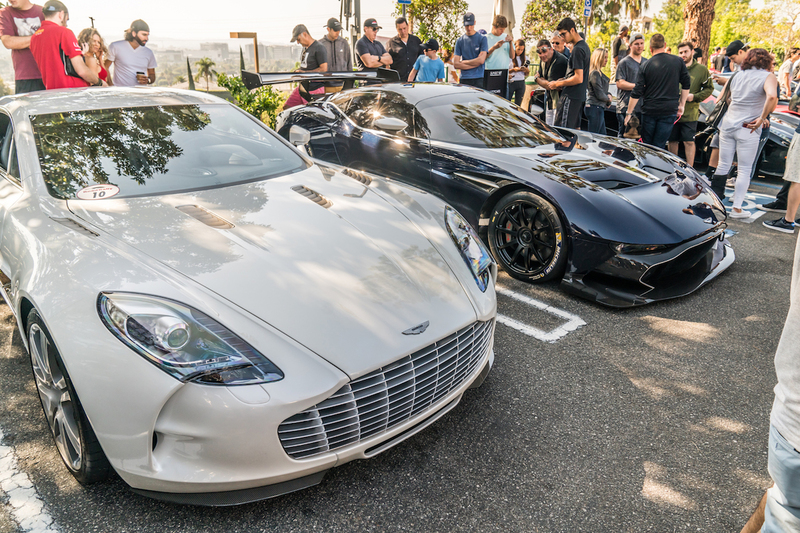 Aston Martin of Beverly Hills brought out the big guns with a $2.4 million One-77 (when new) and track-only Vulcan. The Vulcan had to be delivered by trailer (we doubt it would have cleared the entrance ramp anyway) and received a special unveiling ceremony. 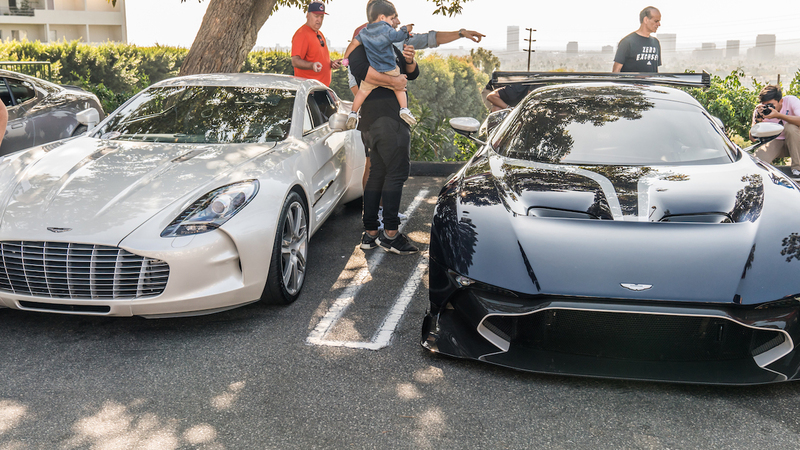 O'Gara tells us that both of these hyper-rare Astons are customer cars. The Vulcan may have stolen the show, but there were plenty of street-legal dream machines available to drool over. 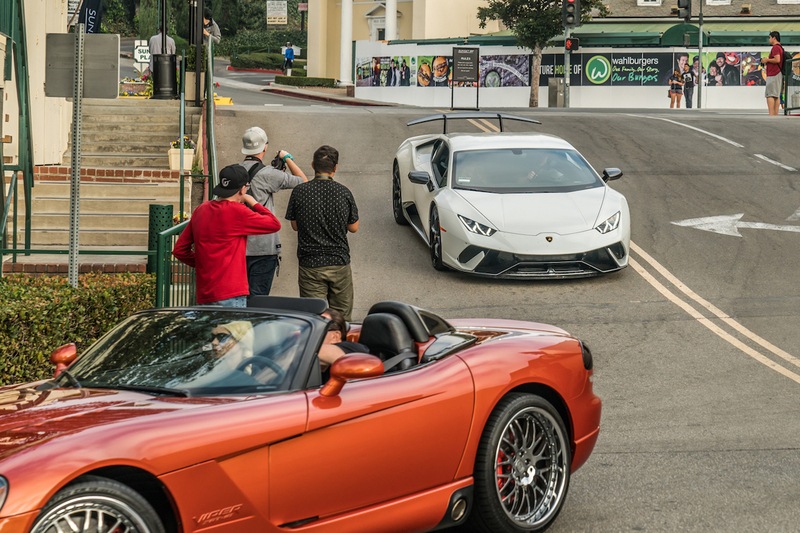 Some of the highlights include a Ferrari F50, 2 LaFerraris, a Bugatti Chiron, a Porsche Carrera GT, and even a Lamborghini Huracán Performante. The video below by Cali Autos will give you a glimpse of the rich insanity (for lack of a better description) of Sunset GranTurismo. Included is a brief taste of the Vulcan's delicious motorcycle-like exhaust note and detailed walkarounds as it's loaded back into the trailer to go home. 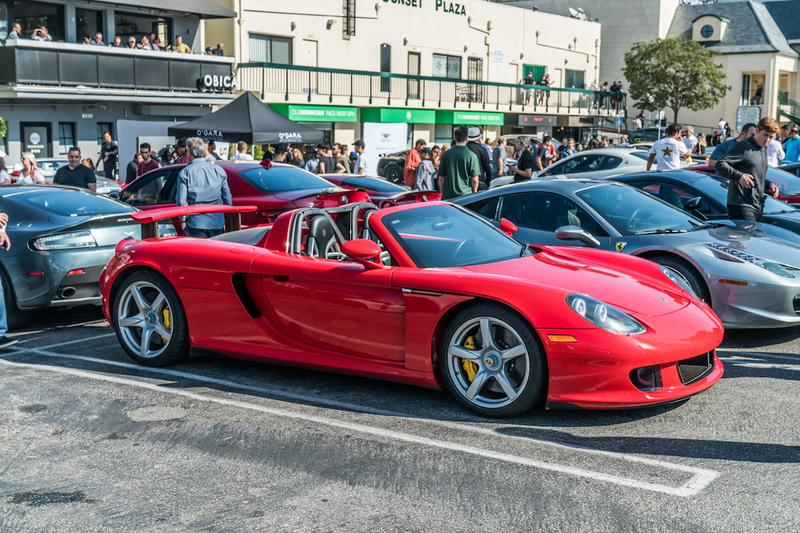 A priceless Ferrari Enzo and Porsche Carrera GT, although they may as well be invisible in the presence of the mighty Vulcan. 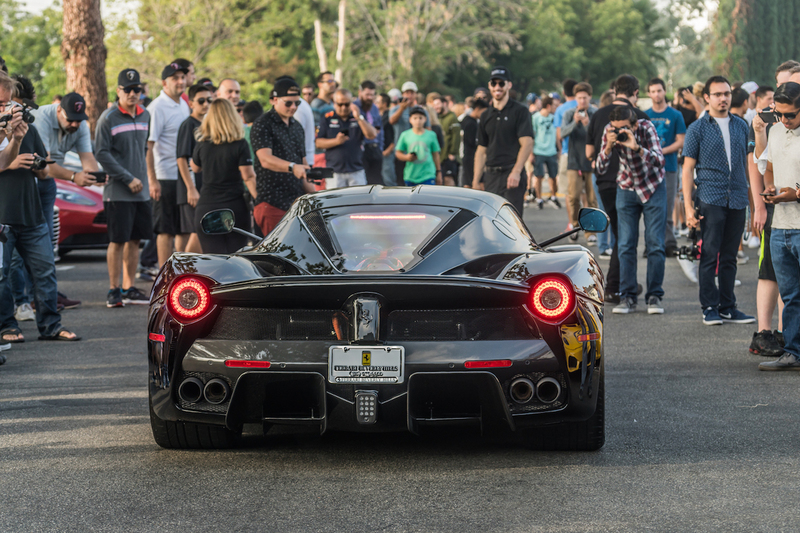 A truly special car meet, featuring American drift king Ken Block and a few of his tail-happy toys. 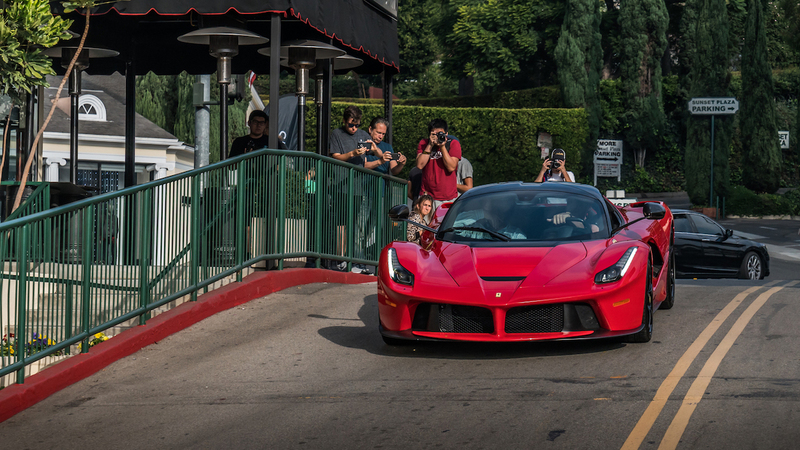 Nothing like a $2.3 million burnout, baby. Note: this grid accounts for 29 percent of all the world's Vulcans. 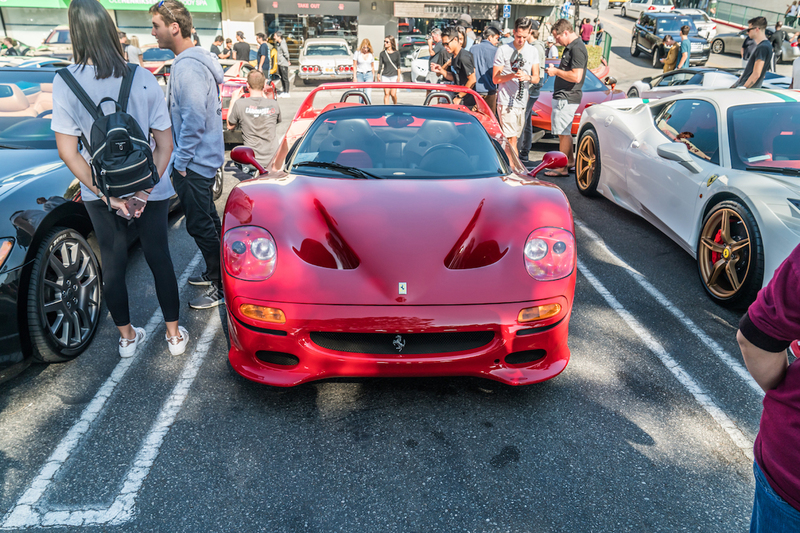 Oh, it's a Ferrari F40... and a Bugatti EB110 GT... and a Lamborghini Diablo SV... and look, a Fiat Panda!